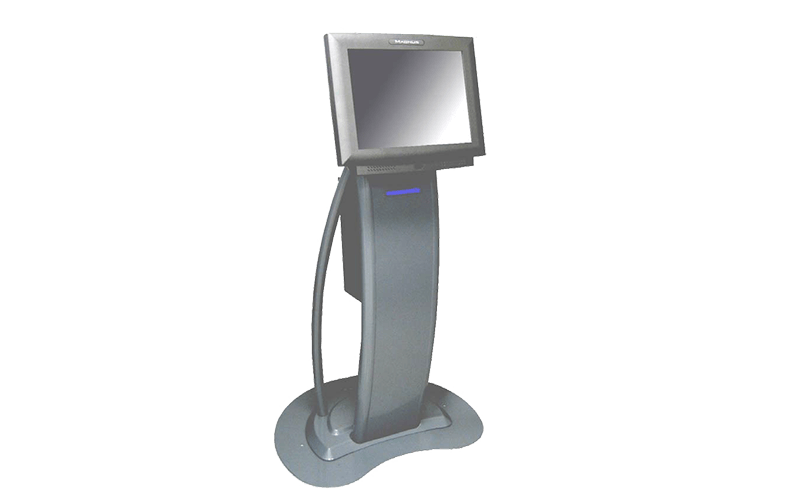 Kiosk for Retail, Healthcare & Hospitality – Pioneer Inc. The Kiosk from Pioneer is a complete kiosk system with a slim and friendly design. It does not take up as much space as a conventional kiosk does. The body is made from strong tubular steel construction to withstand public use. The Kiosk is ideal for self-service for healthcare applications, product information, store locators, gift registries, order entry, customer service, labor management, libraries, or bookstores.